New Delhi : Trailer for upcoming comedy movie Gandhigiri has been released. 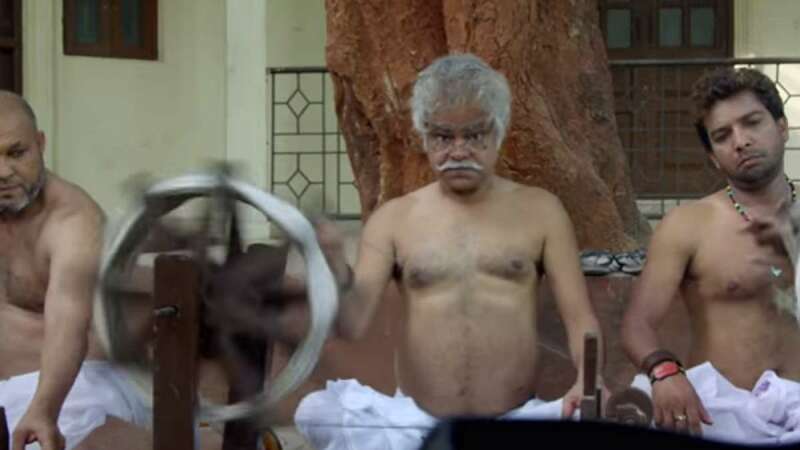 It stars Sanjay Mishra and Om Puri in the key roles. Directed by Sanoj Mishra, Gandhigiri has been produced by Aagaman films Pvt. Ltd. of Sudhir Jain and Pratap Singh Yadav. The trailer was released one day before nation gears up to celebrate the birth anniversary of father of the nation Mahatma Gandhi. # Gandhigiri's trailer has been released one day before the birthday of Mohandas Karamchand Gandhi. # Based on ideals of Mahatama Gandhi, the film stars Om Puri, Sanjay Mishra and Manish Mishra in the lead roles. # The film is scheduled to release on October 21, 2016.